That is the answer we heard today at Texas Children’s. Madie’s medical journey started last February. I wrote about it here. Last week we went to TCH and had an ultrasound, EKG, and holter monitor testing. Today we heard the results of the tests. First, she does not have a sub aortic membrane or any of the other cardiac issues that Ben has. Her heart is physically normal (except a minor hole between one of the chambers that is VERY small.) Second, her EKG came back abnormal again. The tests show that she has Long QT syndrome. If the EKG was the only abnormality in her health history, Dr. Altman would put us on the watch list which would mean an annual visit to her office, watching the medication that she takes, and some possible restrictions if she became symptomatic. But because she has a severe hearing loss and a sibling with congenital heart defects, we cannot just dismiss anything. The Long QT syndrome in combination with her severe hearing loss could mean a genetic syndrome that is a lot more serious. So where do we go from here . . . we need more tests. So in two weeks, Madie goes back to TCH to have a treadmill test. Then depending on those results we may either need additional testing and another specialist or we may have answers. I am hoping for the answers. The good news is that we are old pros at this game. It is at least familiar territory (the heart) and with a doctor and hospital that we trust completely. We ask for prayers. We will gladly answer any questions that you might have (if we have an answer! ), but we ask that you do it privately and not around the Puddles. Today has been a long day and it wasn’t nearly as satisfying as I had hoped that it would be, but Madie is doing splendidly and had a smile on her face when came home today. Ben is being a typical brother and is giving her tips on how to pass her treadmill test (at least it is better than last week, when he told Madie that the shock from the EKG only lasted a little while). So I ask that you please keep our little family in your prayers. In the month of August, we hope to hear a final diagnosis on Madie and Ben goes for his six month check-in with the cardiologist. But we need good results on all of it. So we appreciate all of your prayers! 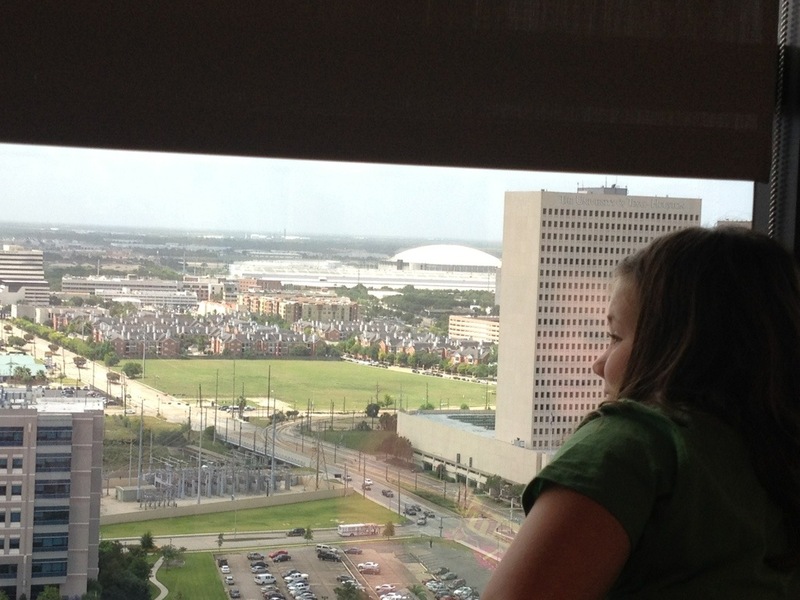 Madie’s awesome view of the Astrodome from our hospital room. Cross it off the bucket list . . .
Ride in an ambulance for a medical reason. So officially all three kids have done this now. We told all three after the last one completed their journey that we weren’t doing any more! So the story goes . . .
Ainsley got sick. Like 105.3 degrees fever kind of sick. Nothing we very experienced parents can’t handle, but when she started suffering abdominal pains (like screaming at the top of her lungs for over an hour and nothing we can do to make it go away kind of pain) we finally succumbed and called the pediatrician. She said we had to go to the hospital. I took Madie the last time several years ago with this issue and it ended up with an ambulance ride downtown to the Children’s hospital, so Chris took Ainsley this time. In the end, they don’t know what caused her issues. They think she had a virus that inflamed her IBS (?) maybe that caused the severe pain. But the medicine helped make most of the pain go away (see the glazed look in her eye?). By 9am, we were practically begging them to release us with a ton of promises to care for her properly and to return her if necessary. So even though we went home with Ainsley running a 102. At lease we got to recuperate in our own home. I should also mention that all of this happened while Madie was having a sleepover with some of her friends. I couldn’t really call moms at 3:00am, so I waited and called our dear neighbor/friend/nicest-boss-ever to come over at 5am so I could drive downtown to TCH to meet Chris, Ainsley, and the ambulance. And God Bless the other friend who took the girls home in the morning and the Aunt who rescued the other Puddles to entertain them for the day while we rested from our all-nighter. It truly took a village that night to help us out! So Ainsley got better. The followup appt. with the pediatrician still left us with more questions than answers. But she let us put Ainsley on her tummy meds for IBS (they took her off so that her body could work on retraining itself to work correctly? I just follow direction. ), added more meds and supplements, additional blood work (that came back still abnormal), and told us to take her to church camp and come back in two weeks to talk about her continued tummy troubles. We did it all, continue to do their instructions, and will see them this week to talk again. As long as it doesn’t’ require an ambulance ride or a trip to the ER, I’m ready for it! UPDATE . . . .
We got a phone call from the doctor today. Ainsley has strep throat. After our second follow up visit last week, the doctor decided as an after thought to come back and test for strep. The rapid test came back negative, but the one that was sent to the lab came back positive. So Ainsley has been sharing strep with everyone for the last three weeks. No symptoms. Just a fever three weeks ago. It’s all crazy. 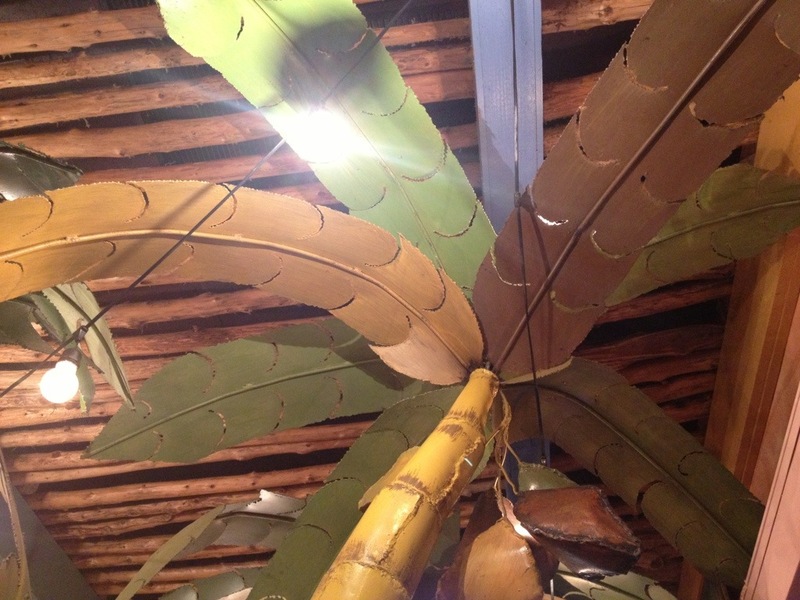 I guess the palm trees made it the wrong kind of Mexican food. We should let Chuy’s know! He looks like a is gearing up to tell a story! Untitled, a photo by treechurch1 on Flickr. Just from the look on his face, I can tell the story is going to be a good one! Even Pastor/Daddy/Chris is having fun! It looks like they are playing a little King of the Mountain. 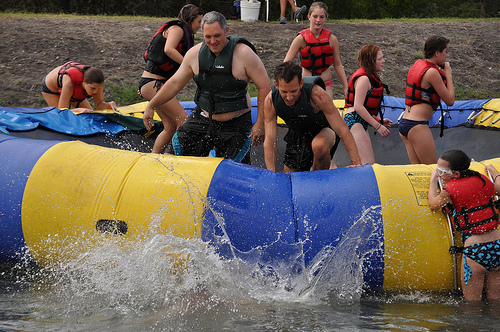 I think that is a look of shear joy on his face as he throws his daughter (Madie) into the water. Amidst the work that he is still doing while a camp (he just works from his laptop and cellphone), I’m glad to see he took a little time to play. He spent time with all three kids this week. I can see why he loves camp. Just remember, dear, you are nearing 40 so I hope you took your Advil! 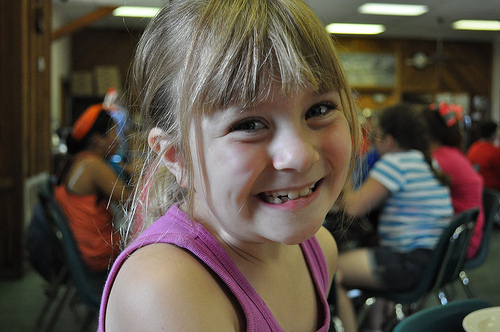 The smile confirms that she is having a good time at camp! Ainsley is all smiles this week! I love that girl! 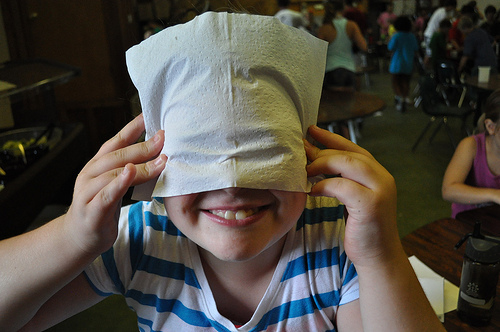 I think Madie is being anti-camera this week! I don’t think Madie was very cooperative this week when it came to pictures! Oh, Madie! It’s too early in your life to avoid the camera! Smile! Your mother loves you and wants to see a picture of your face (without a tongue out or a bunny ears in the background). Crazy, pre-teen!